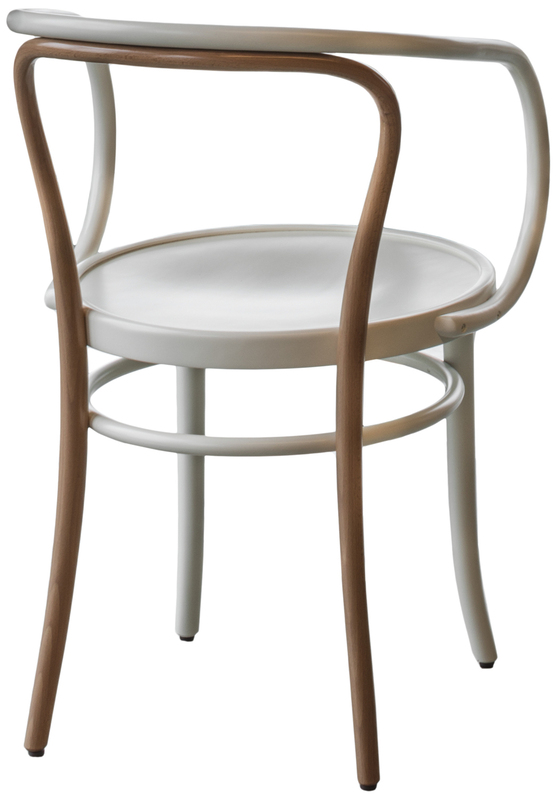 The Wiener Stuhl is available in natural or painted beech. Three seating are available: plywood – whole or perforated – woven cane or upholstered with fabric. You will find below a selection of fabrics particularly adapted to this armchair, ranged by price groups. We have at your disposal a wide range of samples that we can send to you free of charge, against deposit. Do not hesitate to contact us to help you in your choice. 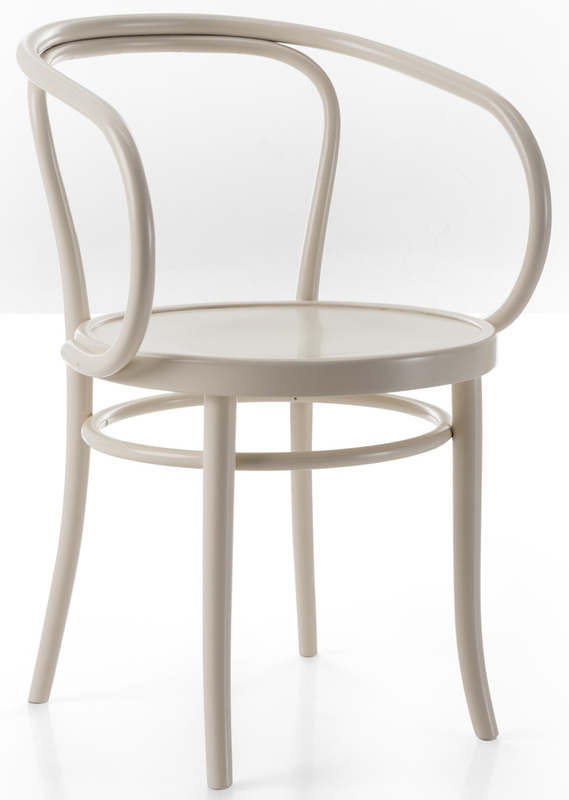 Michael Thonet (Boppard 1796 – Vienna 1871) trained as a cabinetmaker, specialising in geometric marquetry. 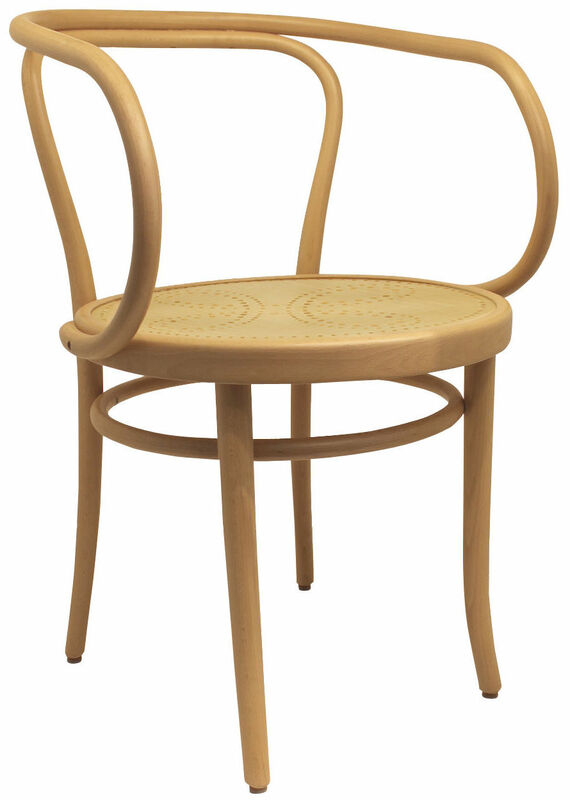 A furniture designer and producer, in 1830 he began to experiment with using bent wood to make chairs, and in 1841 succeeded in filing a patent for a new process treating strips of beech with steam or boiling them in water and glue with minimal costs to provide an innovative, very light, flexible and durable material. In 1849 he moved to Vienna, opened a factory that manufactured chairs, coffee tables, clothes racks, etc., marked by their simple and linear design, with immediate and long-lasting success. Thonet opened new factories in Moravia and in Hungary to increase production and opened sales showrooms in the main European and American cities. By the end of the World War II, independent production plants had been set up in various different countries and developed into separate businesses. 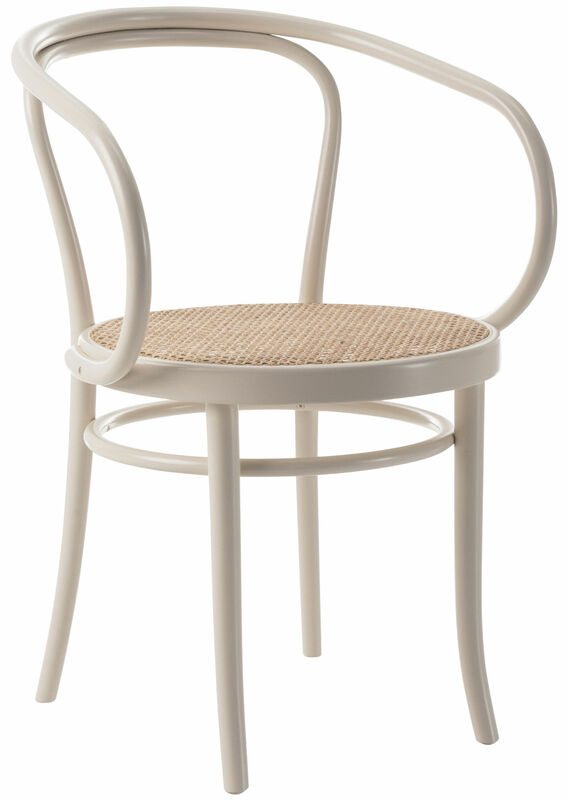 In Austria, the home market of Gebrüder Thonet, the business was rebuilt by descendants of Michael Thonet, including his great-grandson Fritz Jakob Thonet as well as Fritz Jakob’s children Evamarie Thonet and Richard Thonet. Dimensions W54 x D57 x H80cm. Seat height 47cm. Armrest height 71cm. 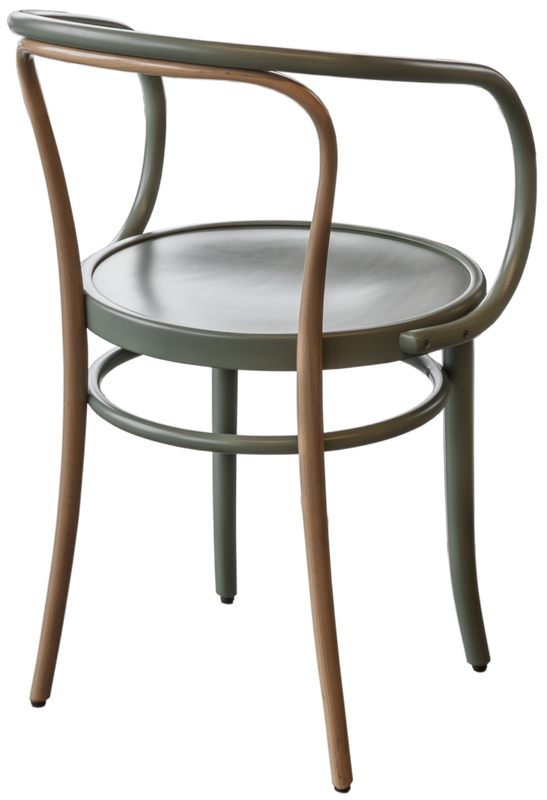 The Wiener Stuhl armchair was designed in 1904 by the Thonet brothers – descendents of the famous German-Autrian designer Michael Thonet. 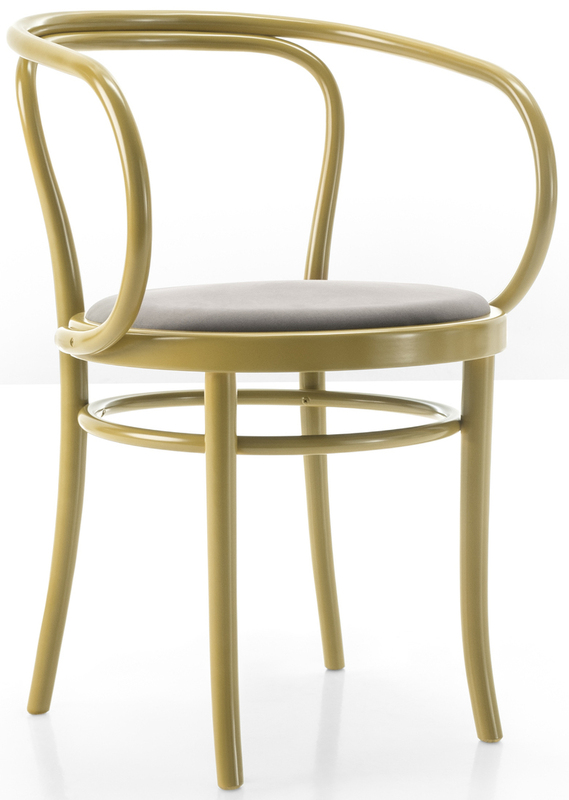 The latter is the inventor of the steam bending technique, and creator of several design Classics, such as the N.14 chair, known as the classic bistro chair. The Wiener Stuhl takes back its aesthetics, with its backrest and back legs made from a single piece of bended wood, and with its different seat options: plywood seat, whole or perforated, woven cane seat, or upholstered with fabric. Small difference: the Wiener Stuhl has armrests, also made from a single piece of wood bent with steam. 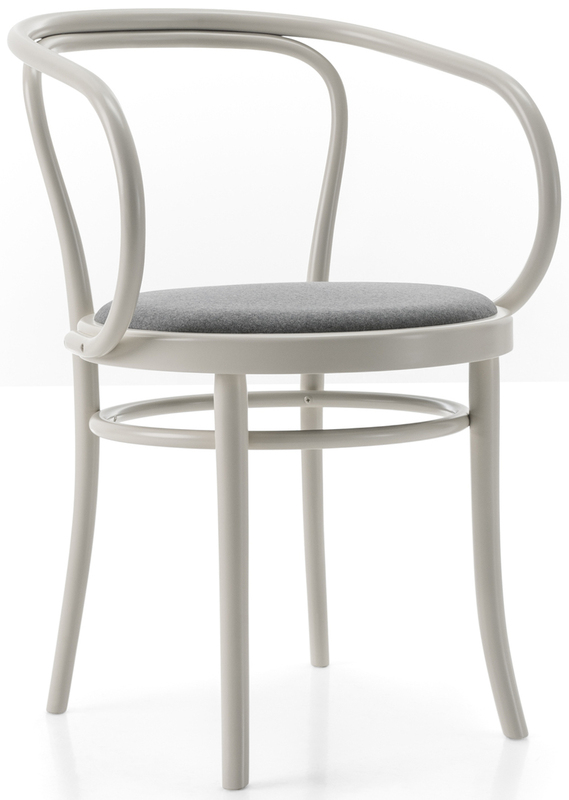 All in curves, it provides a very enveloping seat, with an airy and elegant style. A metal medal engraved with the name of the brand is integrated into the structure guaranteeing the authenticity of the product.